Comedian, acteur en schrijver. Patton Oswalt is succesvol op diverse vlakken in de entertainmentwereld. Van bekroonde comedyspecials tot gedenkwaardige filmrollen, met als hoogtepunt een Emmy-award én Grammy-award voor zijn comedyspecial en EP 'Talking for Clapping’. Als comedian heeft hij al zeven comedyspecials en vijf comedyalbums op zijn naam staan. Zijn grote doorbraak als acteur kwam o.a. door zijn rol in 'The King of Queens’ en nu is het tijd om Europa te veroveren met zijn live stand-up show. 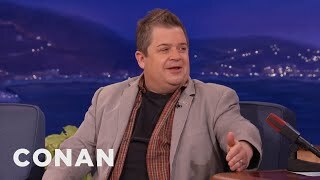 A comedian, actor, and writer, Patton Oswalt continues to find success in all areas of entertainment. From his award-winning comedy specials to his many memorable film roles. Last year, he won the Emmy for "Outstanding Writing for a Variety Special” for his sixth comedy special Talking for Clapping (Netflix) and Grammy Award for his comedy album of the same name. 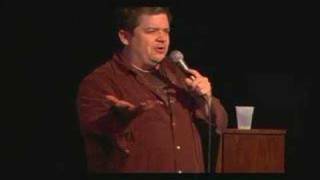 As a comedian, Oswalt has shot seven TV specials and released five critically acclaimed albums. His big break as an actor was his role in "The King of Queens" and now it's time to conquer Europe with his live stand-up show.